Home→Blog→Events→March Events – There Will Be Prizes! ← North on Drummond is here! March Events – There Will Be Prizes! 1. 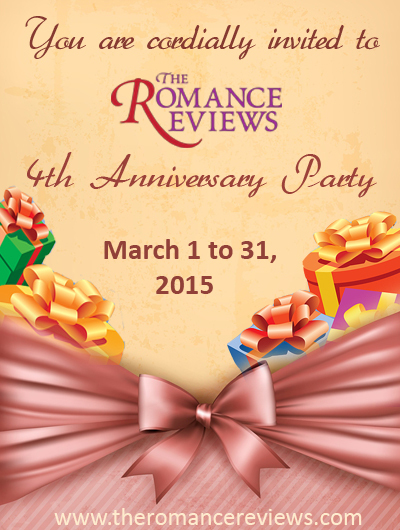 March 1-31: The Romance Reviews 4th Anniversary Party with lots of authors and prizes. 2. March 9: My 5 Year Publishing Anniversary! I can hardly believe it, but on March 9, 2010 my first book was published by Loose Id. MIA Case Files: Wolfsbane was so much fun to write and I’m so thankful I was able to embark on a writing career I’d dreamed of since I was 10. I’m hosting a big Facebook party – please join! There will be games & tons of prizes. 3. March 14: Get Intimate With Your Characters – I’ll be presenting a little workshop at the OCCRWA chapter in Brea, California. If you’re in the area, please come by! 4. March 29: California Dreaming Multi-Author Book Signing – Keep your eye on the website for details. This entry was posted in Events by KC. Bookmark the permalink.